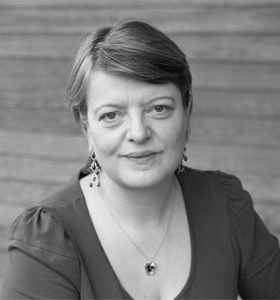 Prior to setting up Nosy Crow in February 2010, you were MD of Macmillan Children’s Books, Group MD of Scholastic UK Ltd, and then CEO of Headline. Talk us through your career to date including the decision to launch your own independent publishing company. I left university with a degree in English and a real desire to work in book publishing. I kept applying for jobs (while learning some keyboard and technical skills that I’d manage to miss out on and waitressing) until I got a job in the Rights Department of Faber and Faber. Before long, I was selling rights to non-UK publishers and book clubs. I began gravitating towards children’s books at that point: rights sales seemed to be more important to them than they were to the adult books team, and the children’s team was really appreciative and involved me in decision-making more. I left to be rights manager and then rights director of a company that looks quite a lot like Egmont (though it’s changed hands since I was there). I still liked selling rights, but I found that I was increasingly keen to shape the books that I was selling, so from there, I became publisher and later MD of Macmillan Children’s Books, where I published books like The Gruffalo. I left Macmillan after 10 happy years to become Group MD of Scholastic UK, running their school book clubs and book fairs as well as running their educational publishing and their children’s publishing divisions. It was a great job but one that involved a lot of travelling and I had a young family. I had a bit of a glitch when I left there to run an adult book publishing list. That confirmed that what I loved and really understood was children’s book publishing. But I felt that I’d had two of the best jobs in the world of corporate children’s publishing, and there wasn’t anywhere else I wanted to work…so I thought that I’d set up a new company. How does running your own company compare to being part of the corporate publishing world? I really enjoy it! I am not, I think, a particularly good employee, so I like being my own boss. We are able to decide what things we really need and want to focus on. We have few meetings, and can be very quick and decisive when we want to be or have to be. I am enjoying working with the other Nosy Crows to create the culture and values of the business and the list. Working for a small start-up is much less “grand” than working for a corporate publisher, I suppose: there are 9 of us in an office not much bigger than ones I’ve had all to myself in other jobs, and we all take turns to run to the post-office and make tea when we’ve got visitors. Where did the name Nosy Crow come from? It was my brother’s idea for a character… which I dismissed as ridiculous! Then, when we were looking for a company name, he reminded me of it, and it just felt right – contemporary, a bit quirky and cheeky, not too cute… and with a face (I really valued the legacy of the Macmillan and Scholastic names and logos, but I was ready for a logo with a face). Camilla drew the first version of the logo, and, though it’s had some work done on it, it’s still very much the picture she scrawled on the page of a notebook 15 months ago. Nosy Crow is a forward-thinking independent publishing company, creating books and apps for children aged from 0 to 14. What is the philosophy behind the company? We know it’s subjective, but Nosy Crow wants to be proud of everything that we publish and make. We want to be sure that it meets the need of a reader (or emerging reader), and meets that need as well as it possibly can. That means great illustration, great design, great audio, great video, great animation and really great writing. We go out of our way to find these things from new and established talents. We recognise that it’s a privilege to be entrusted with other people’s creative work. We aim to be nurturing, responsive, speedy and fair in our relationships with authors, illustrators and other creative people. We want them to enjoy working with us and being part of Nosy Crow. We are very happy to be independent. We are very happy to be small (for now: we hope to grow, of course). We are very happy that we can be fast and responsive. All in all, we are very happy. We think that being happy and having fun is important and will make what we do better and more successful. We don’t have big meetings. We don’t have a corporate machine we need to feed. We make all our own decisions. Apps, ebooks, websites, Facebook, Twitter… we actively embrace new technology in what we make, and in how we tell people about it. We blog about our thinking about books and about apps (see our Appy Days blog, for example) We love printed books, AND we are excited by the new kinds of reading experience that touch-screen devices can offer. We have, between us, decades of relationships and friendships in the international world of reading. In our careers, we have made books that have been successful throughout the world and we have a strong understanding of global markets. We are looking for books and apps that will translate well, and we look forward to selling our books and apps throughout the world. We like being small, but we are proud to be part of a bigger industry. Nosy Crow is a member of the Publishers Association, and of the Independent Publisher’s Guild. We source our full-colour print via Imago, a leading player in PREPS (www.preps-UK.com), which is a collaboration of major companies set up to enable informed and ethical choices when sourcing materials. We are committed to using paper that is 3 stars or more on the Egmont Grading System © which takes into account how the material has been harvested or recycled and how the forest source has been managed. Where appropriate and possible, we will use FSC or PEFC paper. Imago is also a founding member of prelims, the book publishing industry’s initiative to promote and improve standards for socially responsible manufacturing. As a smaller publisher, what advantages does Nosy Crow have over other big corporate publishers in this highly competitive marketplace? I talk about this a lot at conferences. I think that scale has been more important to publishers in the past than it is in today’s digital age. Some of the things that were important for decades are not so important any more, and, if you’re a big publisher, you’ve got all that old machinery and all those old structures that you have to look after or evolve away from. Being new and small means that we can be speedy and flexible and responsive. However, although we’re small, we’re properly financed and we have a lot of publishing experience between us. This means that we aren’t just well-meaning amateurs: we know this business and understand our markets, and we’ll be presenting highlights to supermarket buyers just like any of our larger competitors. We were also able to forge, from scratch, partnership relationships that enable us to take our books and apps into different countries: Candlewick Press will be publishing our illustrated books in the US and Canada; Allen and Unwin are our distribution partner in Australia and we have deals covering our apps and a range of our books with Gallimard in France and Carlsen in Germany. I think that we can offer authors and illustrators a really professional publishing experience, but we combine that with a level of attention and personal care that can be hard for larger companies to match: when you have only a few books, authors and illustrators on your list, you have to concentrate on each one of them. Describe the experience of creating Nosy Crow’s debut iPad title: The Three Little Pigs. What were some of the rewards and challenges associated with this project? It’s been very exciting, and it’s been great to see the uniformly excellent reviews it has had: it’s had lots of online media mentions (you’ll find some of them here) it has been listed as one of the top ten children’s book apps by the New York Times; and it has average 5-star customer reviews on the app stores. We don’t have a backlist of books that we felt the need to “exploit digitally”, and we aren’t terribly interested in squashing something that was created as a print reading experience onto a screen anyway. We wanted to create something that was commissioned specifically for touch screen devices and that was best-in-class. For us as publishers, it’s been a very creative and collaborative process, and I think that is likely to be true of all our apps. Our next app is Cinderella. It’ll be out in June. In 2011, Nosy Crow will be publishing some well-known authors and illustrators, such as Axel Scheffler. Are you equally committed to seeking out and developing new talent? 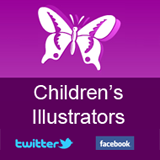 We want to achieve a balance between established authors and illustrators and new talent. Axel Scheffler, Penny Dale and Jo Lodge are among the well-known names in children’s illustration that we’ll publish over the next year or so. 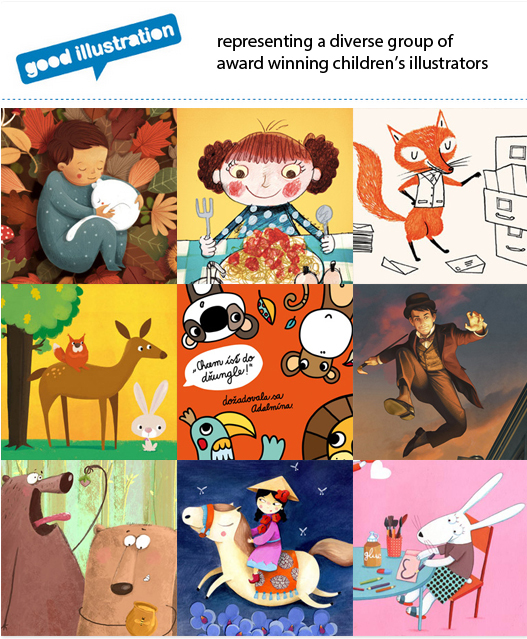 But many of our authors and illustrators are completely new to children’s books: Nadia Shireen, illustrator of The Baby That Roared, graduated in 2010; and Nicola O’Byrne, illustrator of Open Very Carefully, hasn’t graduated yet. A number of our authors submitted books directly to us, like S C Ransom, author of Small Blue Thing, and Helen Peters, author of The Secret Hen House Theatre: we plucked them from what is unkindly known in publishing as “the slush pile” of unsolicited manuscripts. You have just published an innovative new series, entitled Mega Mash-ups, aimed at reluctant readers, particularly boys. Talk us through the initial inception of this idea and describe the process of creating these highly illustrated titles. The books are created by author/illustrator team Nikalas Catlow and Tim Wesson (they both write and they both illustrate). I’d worked with Nikalas when he was a designer for Scholastic Children’s Books, and they came in to see us, knowing that we were new and looking for great things to publish, with an idea that they were working on. The series title was different, the format was different… lots of things were different, but we could see the essence of a really, really great idea in what they showed us. I’d seen so many children choose how-to-draw and doodle books at Scholastic Book Fairs, and this was an opportunity for children to read a really funny, engaging novel and, at the same time, interact with it by completing the pictures. I looked at my colleague Camilla and she looked at me, and we went into the corridor to confer (we had – and have – a big room as our office, so it’s hard to talk privately). We decided to make an offer there and then, and went in and told Nikalas and Tim. They said they’d have to think about it… so we offered them the corridor and they went out, had a chat, and came back in and accepted the offer. It was an experience very unlike most corporate publishing experiences for both sides! We have two books out, Mega Mash-up: Romans v Dinosaurs on Mars and Mega Mash-up: Robots v Gorillas in the Desert. We’ve just received finished copies of the third book, Mega Mash-up: Aliens v Mad Scientists under the Ocean and the series continues into next year. Sainsbury’s has reordered the first two books and they’ve had terrific reviews. The BookZone (for Boys) said, “I can’t believe there is a 6-9 year old boy out there who will not be enchanted by this book… If you are a parent of a boy in this age range you would be a fool not to get these for your son…” You can find out more about them on www.megamash-up.com. How do you prepare for important industry events such as The Bologna Book Fair and The London Book Fair and what do you aim to achieve while you are there? The past few weeks have been a really intensive time for us. We’ve not only had over 100 rights-selling appointments, but we’ve also been asked to speak at several conferences and events. I blogged about it several times (Busy before The Bologna Book Fair, Selling books at The Bologna Book Fair and Tools of change at The Bologna Book Fair) We announced our deal with Candlewick a couple of weeks before the fair and then our appsdeal with Gallimard and Carlsen at the fair itself. The reception to the list couldn’t have been better, and we have lined up a lot of deals. What exciting new titles does Nosy Crow have in the pipeline for 2011? It’s really hard to pick-out individual books, but, focusing on illustrated books, we’ve several really strong picture books coming in the autumn. Hubble Bubble, Granny Trouble is by Tracey Corderoy and illustrated by Joe Berger, identified by Book Trust as one of the top ten new illustrators in the UK (http://www.booktrust.org.uk/Prizes-and-awards/Best-New-Illustrators-Award) It’s a funny, rhyming text about accepting people the way they are… even if they are really very peculiar, as the little girl’s witchy granny is in this book. Goldilocks and Just the One Bear is written and illustrated by Leigh Hodgkinson, who has created a sequel to the original Goldilocks story: little bear, all grown up, finds himself in the Big City, and ends up, quite without meaning to, re-enacting the Goldilocks story in the apartment where grown-up Goldilocks lives with her family. Just Right is by Birdie Black and illustrated by Rosalind Beardshaw (who I’d published at both Macmillan and Scholastic). It’s a Christmas story about the joy of giving…and features the most appealing badger I’ve ever seen. This entry was posted in Publishing on November 24, 2013 by Creative Interviews.